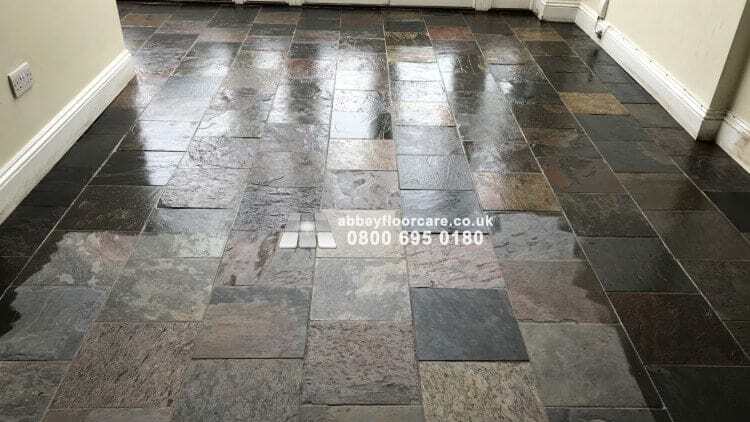 My project concerned a cleaning and sealing sizeable Indian Slate floor installed in the hallway, a kitchen and a significant extension of a house in Barnes SW13, in the London Borough of Richmond. The homeowner was unhappy with the appearance of the floor. The floor was difficult to clean, even using mechanical floor machines. Someone had sealed the slate with one or more coats of heavy-duty, solvent-based acrylic sealers. 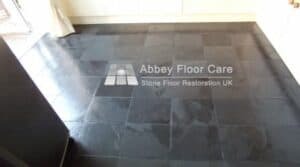 The slate was also coated with one or more layers of floor wax. 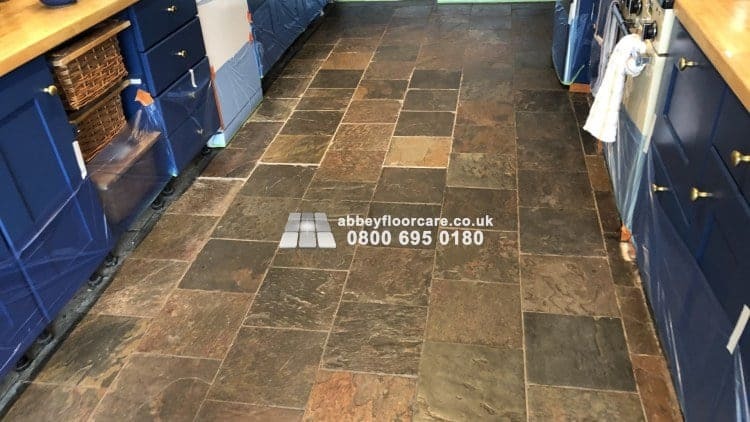 There was a significant build-up of old sealer around the edges of the floor. The finish had worn away in traffic areas, allowing soils to penetrate the pores of the exposed slate surface. The Wax may have been used to coat the worn areas. I started by protecting the walls, and kitchen cabinets. I use a splash guard on my scrubbing machine. However, with an uneven finish, it is difficult to prevent slurry splashing over the splash guard. The chemical in the cleaners can discolour wall and cupboard paint. Working in sections, I applied a heavy-duty solvent-based sealer remover with a mop. I left the sealer remover to for thirty minutes to soften the old sealer residues. During this time, I topped-up any areas that were starting to dry. 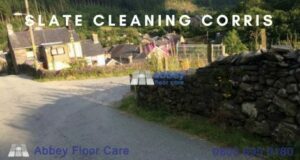 I scrubbed the area with a heavy duty rotary cleaning machine with and slate-cleaning solution. 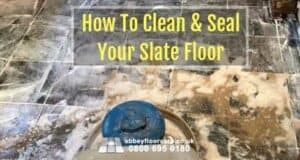 The slate-cleaning chemical helped the scrubbing machine to lift the softened sealer off the slate. I used a heavy-duty, triple motor wet vacuum to remove the dealer residues and cleaners off the floor. Finally, I rinsed the area with clean water. I left the area to dry to check for any remaining sealer residue. 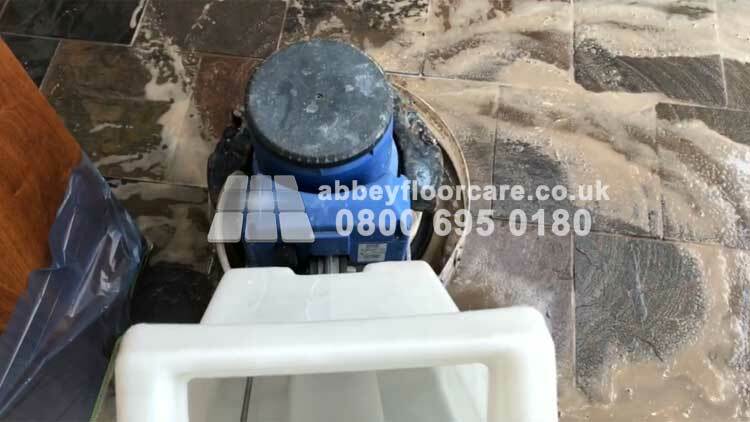 I had to repeat the process at least three times to remove all the soil and old sealer residues from the tiles. After the machine scrubbing, there was still old sealer residue around the edge of the floors. So I had to remove the sealer build-up by hand, using scrubbing pads. The scrubbing machine could not remove the sealer build-up from the grout. So I had to clean much of the grout by hand using grout cleaning brushed and scrubbing pads. 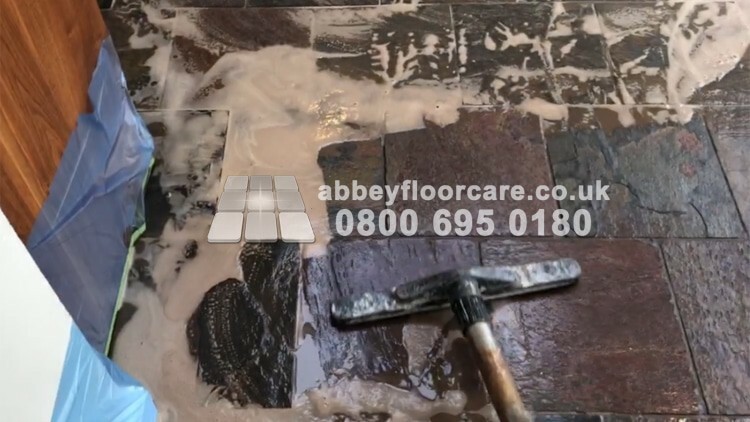 Removing the old sealer residues and cleaning the floor took me two days to complete. I recommended a urethane, colour-enhancing, film forming sealer. The sealer acts as both an impregnating sealer and a surface film-forming sealer. And it is much harder wearing than other sealers. I usually apply this sealer on Slate with a small four-inch roller. I seal each tile and the surrounding grout individually. Then checking the finish to ensure each slate is thoroughly sealed before moving on. 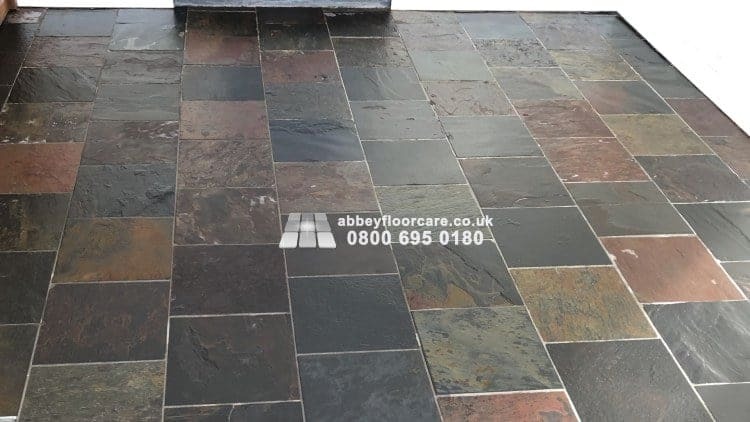 The sealing is a time-consuming process, however, it makes sure that the sealer gets into all the natural crevices in the surface of the Slate and grout. The sealing process took a full day to complete. The sealer takes typically four to six hours to cure. However, I used a fast cure additive, which means that the sealer will cure in two to four hours. Allowing the floor to be back in use quickly. 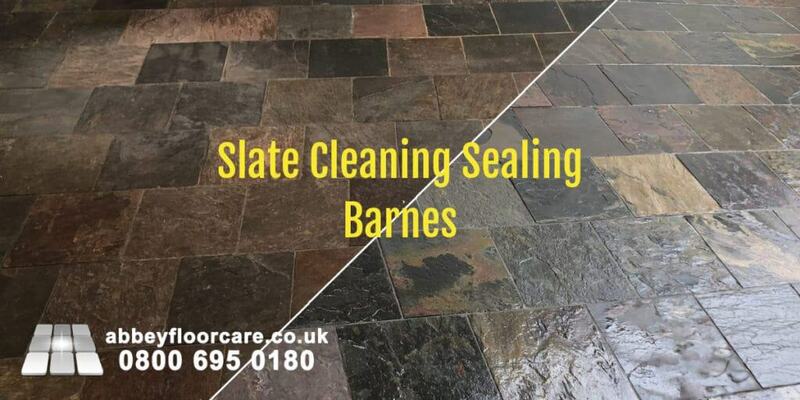 As well as Barnes, we also offer slate floor cleaning and other stone floor restoration services in the London areas of Mortlake, East Sheen, Putney, Roehampton, Chiswick, Barons Court, Hammersmith, Turnham Green and North Sheen. 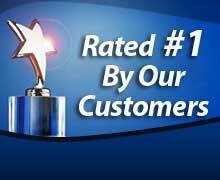 If you are searching for Stone flor restoration services in these areas, please contact me. I look forward to helping you.